A statement feature arriving as part of this season's Emporio Armani collection this Navy polo shirt comes as part of the Manga Bear collection that pay's homage to Giorgio Armani's playful and edgy cartoon alter ego. Immediately drawing the eye with a small texture theme applique at the chest the garment retains practicality with the use of soft and comforting cotton as a fabric choice. All about the details that Polo Collar, placket and ribbed cuffs subtly contrast the main colour of the garment whilst a split hem allows for greater flexibility in movement. 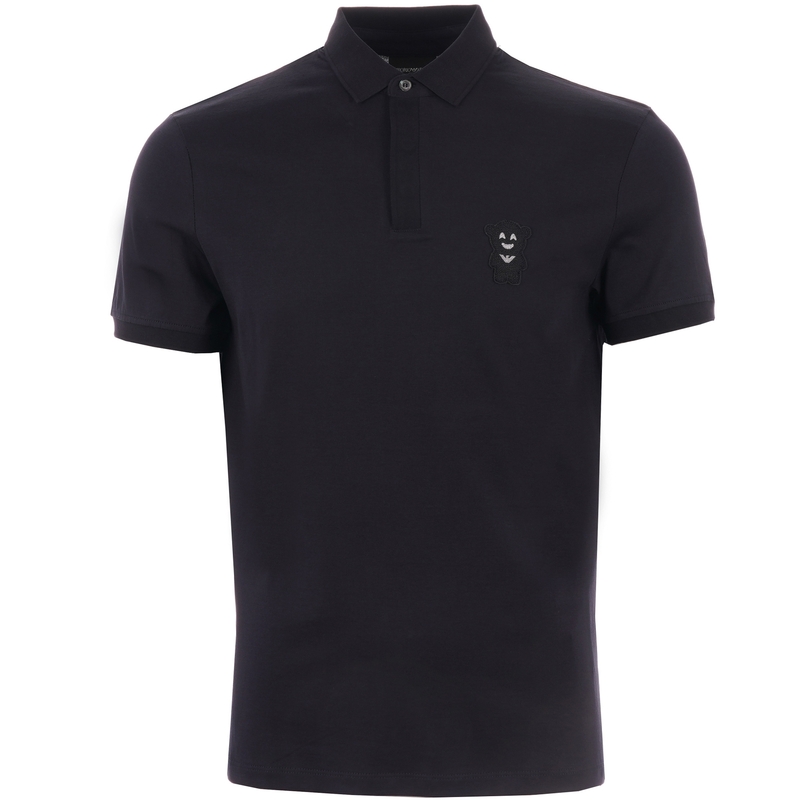 Complimented with the addition of an Emporio Armani logo print at the rear neckline the piece should defiantly be taken into consideration for those on the lookout for a statement option that is well suited for casual wear throughout the course of warmer periods of the year.